The spine of a horse is understandably very different to that of a human being, primarily due to the fact that equines spend their time on four legs as opposed to two. As most equine owners spend time riding as well as raising their animals, horses are at considerably greater risk of developing problems with their spine. Without proper care and attention, these spinal anomalies can cause your horse pain and debilitation. A veterinary chiropractor is a therapist who is trained in spinal and joint manipulation. The aim of this type of therapy is to realign the skeletal frame to alleviate pressure on the joints and surrounding soft tissue and relieve associated muscle pain and spasms. Chiropractic therapy is a holistic approach designed to eliminate the cause of the problem, rather than purely targeting the symptoms. If your equine is exhibiting any of the following signs, there may be a problem or injury that requires the knowledge and experience of a veterinary chiropractor. Chiropractic care can have a range of benefits for your equine. The type of advantages that you will see will depend largely on the age of your horse and whether you race or ride for pleasure. One of the biggest challenges of any type of animal ownership is identifying when your animal is in pain. Chronic pain has been shown to have a seriously detrimental effect on the mental health of humans and animals alike, often modifying the nervous system and becoming a distressing and debilitating disease in its own right. Holistic therapies including chiropractic care have been shown to help alleviate pain and discomfort by improving the flexibility of joints and muscles and improving the affected animal’s range of movement. The massage and manipulation techniques used by a veterinary chiropractor can also dramatically reduce stiffness and tension in many equines. It is often successfully used to aid the recovery of injured animals who may have been required to rest certain limbs for prolonged periods as part of the healing process. 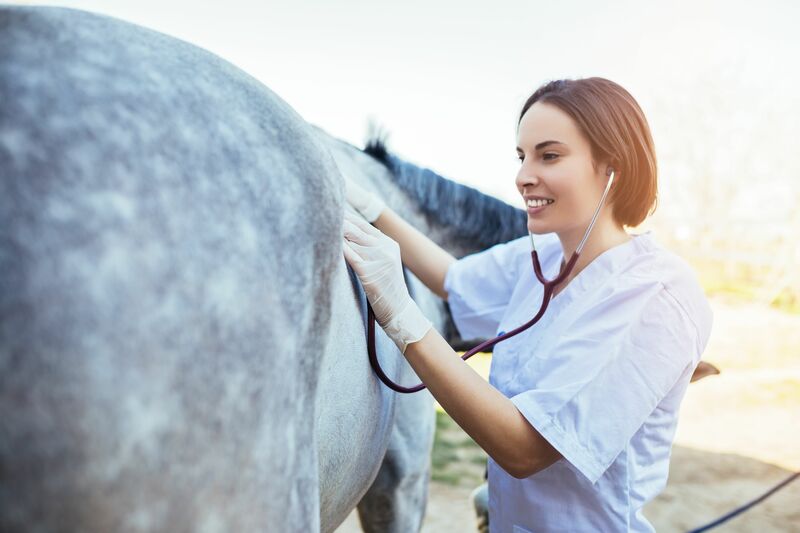 Owners who race their horses often find that chiropractic care can help to develop and strengthen the muscles of a horse that are necessary for it to be well balanced. In turn, this can improve the core stability and flexibility, thus enhancing the performance ability of their animal. The massage techniques used by many chiropractors also help to increase circulation, enhance muscle tone and relax any spasms, resulting in a stronger, better performance by the horse. As with most things medical, prevention is almost certainly better than cure. Your veterinary chiropractor is the best person to advise you what steps that you can take to minimize the risk of your pet suffering a back injury and the associated problems.